I’m Ed Smith, a Fresno car accident attorney. After an accident, clients have many questions about recovering the financial losses they face. A common question is how much is my case worth. The precise answer to that question is dependent on the the facts of the case, however, there are common factors that are considered in all cases. Medical Expenses: Such expenses include ambulance services, emergency room fees, hospital bills, physician fees (both inside and outside the hospital), tests such as lab work and cardiac tests such as EKGs or echocardiograms. In addition, all prescription and some over-the-counter medications ordered by your doctor are included as well as home-based nursing services and physical rehabilitation. Future Medical Expenses: This category includes the cost of future medical care if thought to be necessary. In order to prove the need for future medical expenses, the opinion of a medical expert is needed. Lost Wages: These are the wages you are unable to collect due to an injury. Whether you are paid on an hourly basis or are salaried, you can determine what you should have received and use a confirmatory letter from your employer or tax return to prove it. Other income such as commission, overtime or bonuses that you would normally receive can be factored in. If you own your own business or are a freelancer, you can still determine how much you expected to make during the time you are out of work by calculating your profits and earnings. Lost Earning Capacity: This involves the income you would expect in the future had you not been injured. Factors that are used include the person’s age, profession, skills, training and experience. Past earnings can be used to help determine future earnings. Household Services: If the injury requires that someone perform necessary household services because of the inability of the injured party to perform them, this cost is recoverable. Pain and suffering: This includes the pain the individual suffers now and in the future, its likelihood, the intensity of the pain and the type of injury the person experienced as well as chronic pain. The jury is asked to determine how the pain will interfere with daily activity. Emotional anguish: Emotional anguish due to the injury includes anxiety, fearfulness, humiliation and worry associated with the accident and includes post-traumatic stress syndrome. Loss of enjoyment: This involves enjoyment of daily activities. This varies from person to person and in different situations. Loss of consortium: After an injury, an individual may lose the benefit of married life, including the affection and sexual relations enjoyed by the couple before the accident. The claim may be filed by either the injured or uninjured spouse. Factors include the type of relationship the couple had and the length and quality of the relationship. Disfigurement: Scars and other injuries can be considered to be disabling to the injured individual. In order to recover either economic or non-economic damages in California, an injured person must show that the injury and subsequent damages were due to the negligence of another. The claim must be filed before the statute of limitations runs out. In order to do that, one must prove the defendant (the negligent party) had a duty of care to the plaintiff (the injured party) and breached that duty. By breaking their promise of care, the defendant caused the plaintiff to be injured, and the injuries resulted in financial loss. 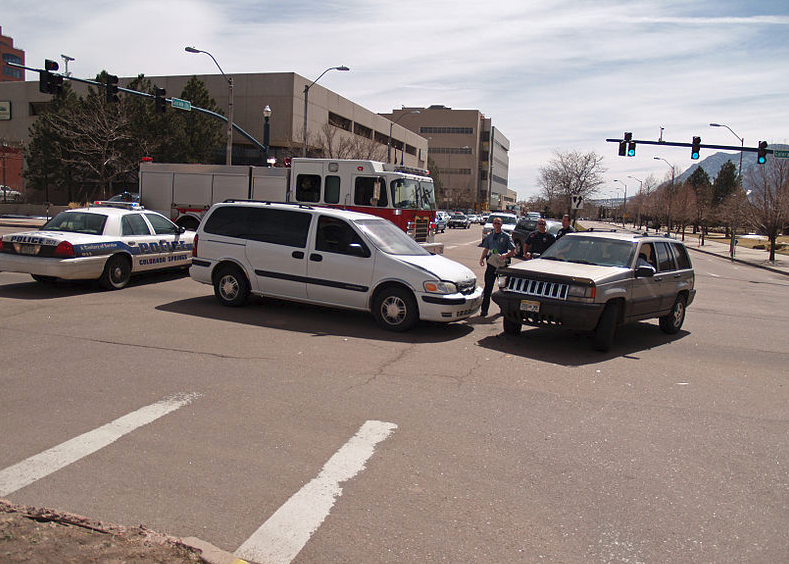 In some cases, both the defendant and the plaintiff were partly responsible for the accident. California is a pure comparative negligence state, meaning that the negligence of each party affects the amount of damages that are compensated. For instance, if a lead vehicle lacked a functioning brake light and caused a chain reaction when they applied their brakes suddenly, generally they would be seen as negligent. However, if the rear vehicle was speeding and unable to stop, they are complicit in the accident. The portion of the damages received would be less the amount caused by the other person’s negligence. I’m Ed Smith, a Fresno car accident attorney. You have the right to recover damages due to an injury from someone’s negligence. Knowing what you can expect if your case is settled or goes to trial is important. Call me for free and friendly advice at (559) 377-7676. If you live outside the area, call me at my toll-free number at (800) 404-5400. I have served California clients, including those in the Fresno area, over the last 35 years as an injury lawyer by representing those hurt by traumatic injuries. I have also helped families recover from a negligent driver in a wrongful death lawsuit. Take the time to review comments by previous clients and some of my peers on Avvo, Google and Yelp. You can also check out the settlements and verdicts I won for prior clients on my Verdicts and Settlements page. Autoaccidents.com is a website I founded and own in Northern California. It is an excellent source for personal injury law information.